inMotion recently completed a brand new website redesign for 3 Properties, a brokerage firm focusing on NNN retail investment sales. 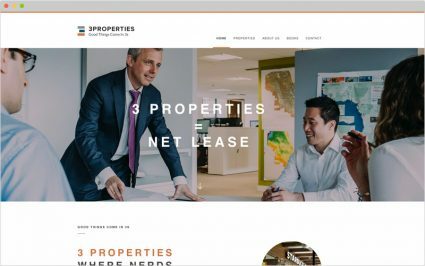 The project included a branding refresh and a new online presence to help differentiate 3 Properties’ unique approach in the NNN investment space. The custom website was built to be fully responsive and integrated with the SharpLaunch platform to automatically populate and update their Properties page. inMotion is excited to showcase this recent project in conjunction with 3 Properties.